Looking for some party favors ideas for your Halloween party? At our last demonstrator meeting, we had a 3D swap. Everybody made such cute projects! Here are some of the Halloween ideas. This first project was made to look like candy corn. This was a show and tell item rather than a swap. So cute! Melody Smith made this candy holder. She used the Labels framelit to die cut the holder. She then stamped it with the Toil and Trouble stamp set (131727 $16.95). She stamped it again on a separate piece of paper and used Heat and Stick Powder to add the black glitter. She cut out the different images and added them to the holder. This added some wonderful accents. Janet Holmes made this quick and easy lollipop cover. In addition to being a fast project that you could do with the family, it also makes a wonderful display with all of the lollipops lined up in rows. 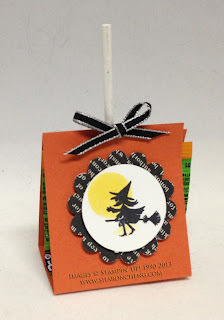 She used the Halloween Hello stamp set (131721 $14.95). 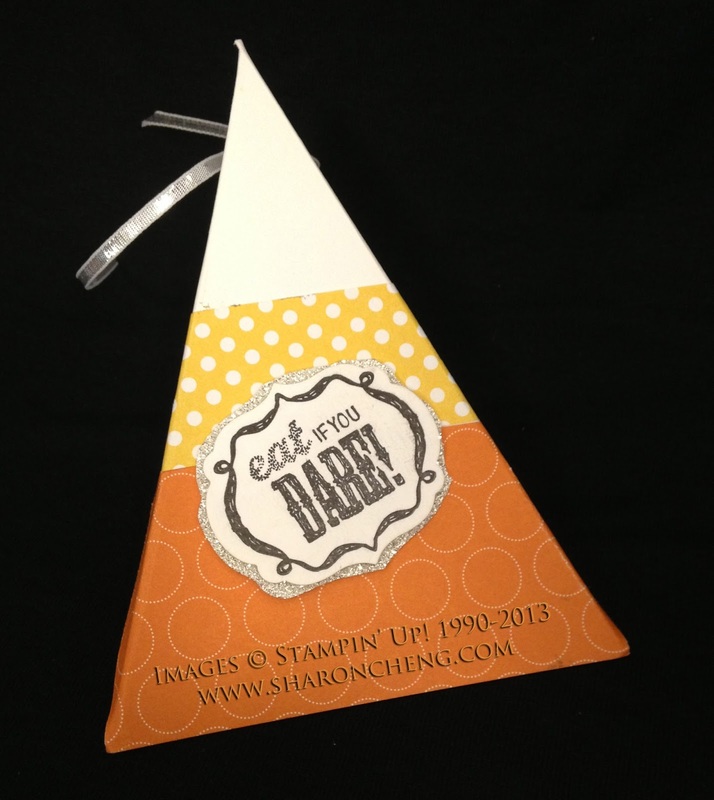 This project comes from the Stampin' Up! design team. 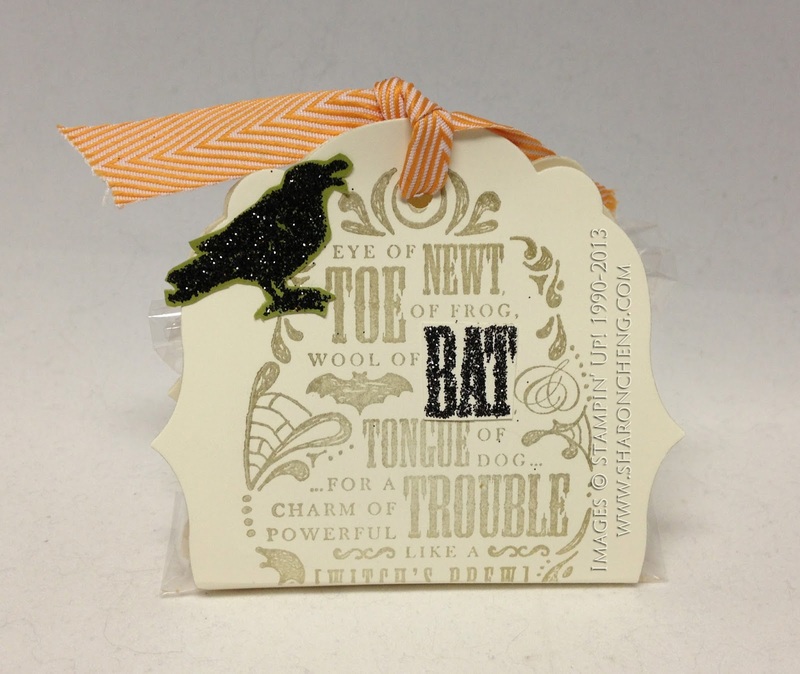 It also uses the Halloween Hello stamp set (131721 $14.95) along with the Witches Brew Designer Series Paper (132185 $10.95). At our last stamp club meeting, we made these party favors with Stampin' Up! 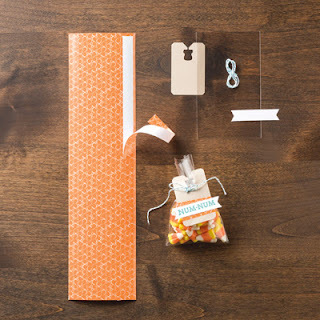 's Pumpkin Pie Goodie Gear Simply Created Kit (132792 $4.95 for 10 favors). This was by far the fastest and easiest way to make favors if you have a lot of little gifts to make and not a lot of time. 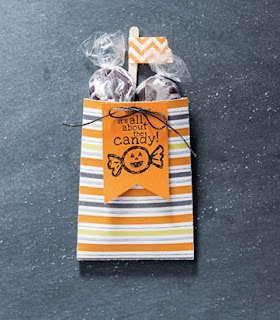 Visit my online store to get your supplies for these Halloween projects. Remember that when you purchase $25 or more in product, you are eligible for my Rewards Program. When you make your online purchase by Saturday, 9/21, and use hostess code AG6Z4P3N , I'll put your name in a drawing for hostess rewards. Have fun getting ready for your Halloween festivities! Birthday Candles with a Punch!